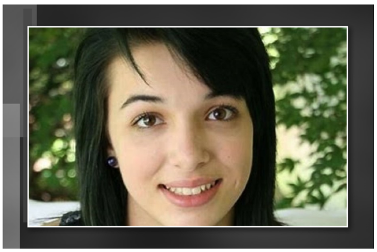 The Giana Bartolucci Memorial Scholarship is offered in memory of Giana Maria Bartolucci, who passed away in 2016, as a result of injuries sustained in a collision with a drunk driver. Contact Cornerstone Christian Academy to apply. "I want to live for whatever God chooses to do in my life that will bring Him glory." Giana Bartolucci was born to Tony and Lois Bartolucci in August 2001. An only child, she was given the name Giana, Italian for a biblical name meaning "The Lord is gracious." God called the family from Chandler, AZ to Clarkson, NY in 2002 so that Tony could assume pastoral duties at Christ Church of Clarkson. It was there that Giana grew into a beautiful young lady who knew and loved the Lord. Giana loved spending time with family and friends, playing games, listening to music, and participating in church activities. She was home schooled and enjoyed reading, creative writing, singing, and playing piano and guitar. She had a great sense of humor and was very empathetic toward those who were hurting. Even though she never desired to be the center of attention, she was well-loved and many considered her a close friend. As a homeschooler, she played for the Cornerstone Christian Academy soccer and basketball teams. Her dream was to attend C.C.A. for her Junior and Senior years of high school. Unfortunately, that dream was never realized. On December 24, 2015, while traveling to a local farm to purchase a tree for Christmas, she and her father were hit head-on by a drunk driver. Although both were seriously injured, Giana's injuries were much worse, requiring several surgeries. In June 2016, Jesus called her home, unexpectedly, following surgery. She was fourteen years old. A few months prior to the crash, she declared, "I want to live for whatever God chooses in my life that will bring Him glory." The Giana Bartolucci Memorial Scholarship is available to give a child the opportunity to live Giana's dream of attending Cornerstone Christian Academy.